Scott Berkun posted a video talk from Ed Catmull at an Economist. Ed discusses and answers questions on the creative process at Pixar. Great video interview with Brad Bird on the endless pressure and questions that the director get and how to work with his team of animators, sound editors, etc. Shadow John Lasseter for a day. See how one of the best minds in animation, hollywood and the creative world thinks. Watch what he does all day and how he interacts with his teams. 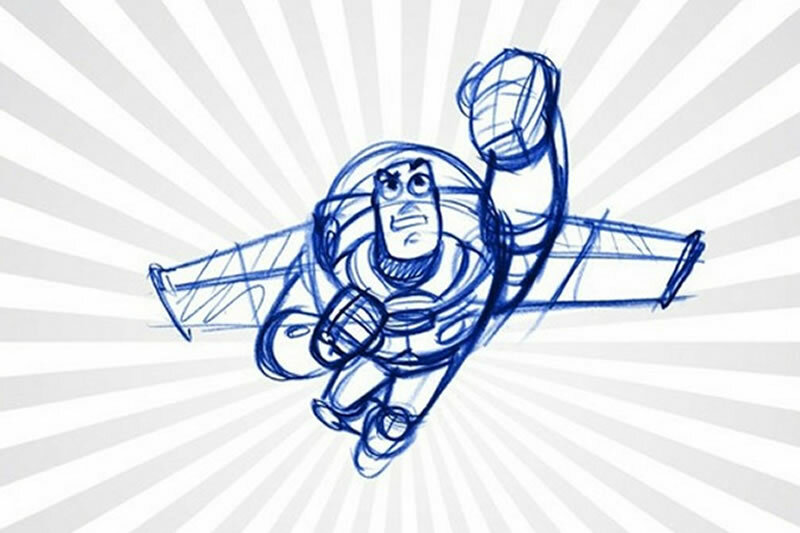 McKinsey Quarterly article, Innovation Lessons from Pixar – An Interview with Oscar-Winning Director Brad Bird, takes a look at how he works and the production of The Incredible’s. Brad Bird is a directory at Pixar who’s lead the creation of films like The Incredible’s, Ratatouille and he’s currently branching out into live-action as the director on the new Mission Impossible movie set for release in 2013. 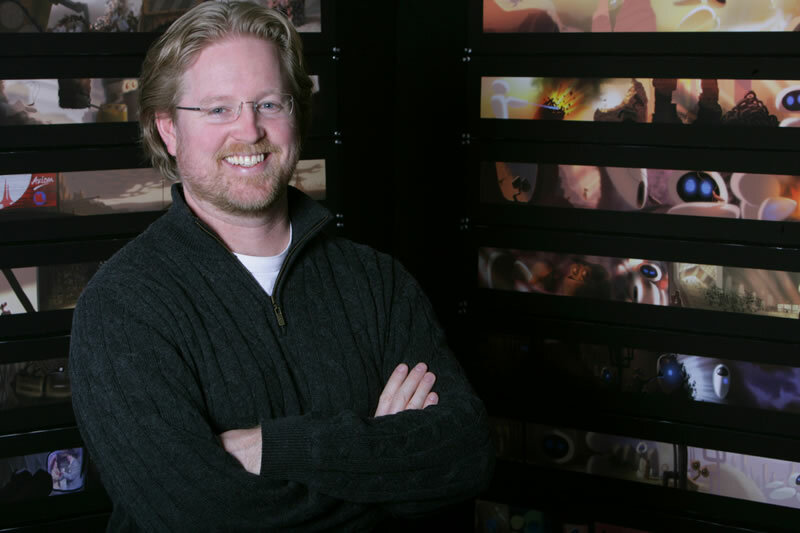 Take a look at this fine article from The New Yorker about Andrew Stanton, one of the core group of directors at Pixar. The book The Pixar Touch – The Making of a Company, details the incredible work Pixar has done over the past 30 years. Though the companies first full-length feature film, Toy Story, launched in 1995, much of the work it took to actually product the first full-length animated film began decades before. This work involved inventing computer graphics systems, 3-D computer modeling, software & hardware resources, and more. Look for Cross-Promotional Opportunities. Disney often used cross-promotional techniques throughout it’s media channels (ABC, Disney Channel, on DVD’s, in theme parks, etc.) to promote upcoming movies. It already owns many of the promotional and marketing outlets so it can spend considerably less on marketing to promote the movies it owns than an outsider. This is a vast moat the company has built that protects it and the movies it distributes. Get Others to Promote Your Products. Disney often licenses promotions and characters before the release of movies to retailers or food chains, like Burger King, for Toy Story. This is another way they promote movies as well as make money on the movies. In this situation Burger King not only pays to license the characters but spends a great deal promoting the characters and marketing the movie throughout their stores. Blend Talents of People from Technology, Business & Art. 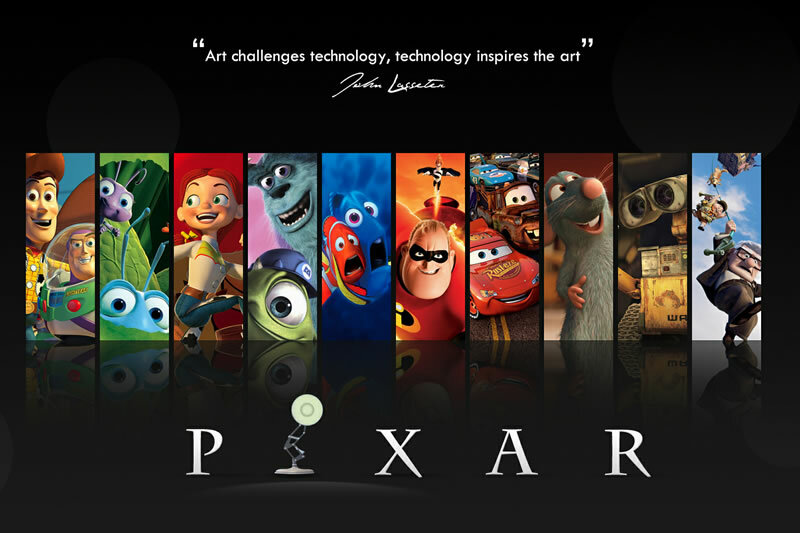 Pixar and the team are a unique blend of artistic talent (John Lasseter and many others are from animation and arts at CalArt in Los Angeles), business talent (Steve Jobs created Apple Computers) and technology talent (Ed Catmull lead the creation of hardware, software & techniques for doing animation at NYIT and then at the University of Utah). This blending of art and technology is a good benchmark to have in every company. Gain Confidence from Big Wins & Trust Your Instincts. By making the first computer-animated film Catmull, Lasseter, Jobs & others leaned they could trust their own instincts and methods in the context of feature film making. This is the self-assurance that only comes from seeing an idea through from idea to success that was a foundation that ultimate let to a string of 10 plus incredible computer-animated films and another dozen shorts. Partner with the Best in the World. They also partnered with Disney not only for marketing and distribution of the films but also to work with some of the original and best storytellers, animators & executives in the industry. They learned first and foremost about story (Lasseter explains that Disney new the pitfalls better than Pixar) and they learned about budget & scheduling. Pixar though kept themselves more “lean and mean” than Disney and event the Disnay executives admit that the Pixar stories had more “heart” than the Disney movies. This relationship began with conversations about how to make a movie based on the short, Tin Toy. Start Short – The people at Pixar did a number of short stories before ever attempting the full-length film. They did this to learn the craft and get into all the questions that inevitably pop up when working on a “live” project – these shorts included Luxo Jr., Red Dream, Andre, Tin Toy, etc. Many of witch won rewards and considerable respect from the industry. Starting “short” means the story is still there, the level of quality is still there, all the elements are as good as a full-length film but its shorter (as apposed to starting small – where you might be tempted to take short-cuts on quality, story, etc.). Stay Within the Limits of What’s Possible at this Moment. When choosing the subject for the first full-length film they went back and examined what worked and what would bush the limits of what was possible but didn’t over-do-it. So they chose to do toys because it was very difficult to get human skin to look transparent and not like plastic and to get human bodies to move fluidly. Using Co-Directors on Films/Project. On many of the films started on A Pixar had co-directors on their films bringing a team approach to each film. There was usually a lead director of sorts that began work developing the story years before production began. For example, during Toy Story 2, Andrew Stanton was sell into creating A Bug’s Life and Pete Doctor was already developing Monsters Inc. So Lasseter tapped Ash Brannon, another CalArt graduate, for a co-director role on Toy Story 2. Lasseter used the co-director roll to groom new directors he thought were talented. The directors are the creative force behind the movies who are responsible for the look and, more importantly, the story of each film. Pixar uses producers for schedule, budgeting, and resource allocation. 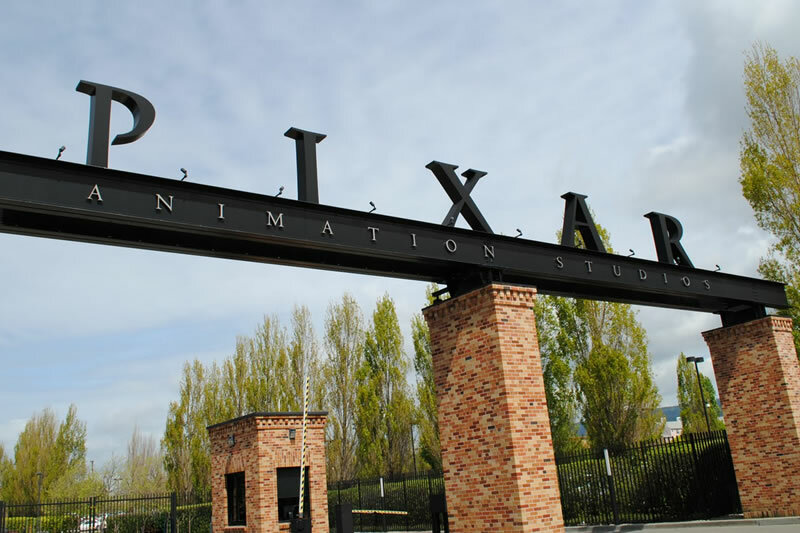 At Pixar, and many other studios, the roll of producer is responsible for delivering the film on budget and on time. They work heavily with marketing and distribution as well as a go between on the film Disney setting up distribution deals for promotions like Burger King, with Matel on toys, cloths, etc. Research – Immerse Yourself in the Real Live World of What Your Studying. 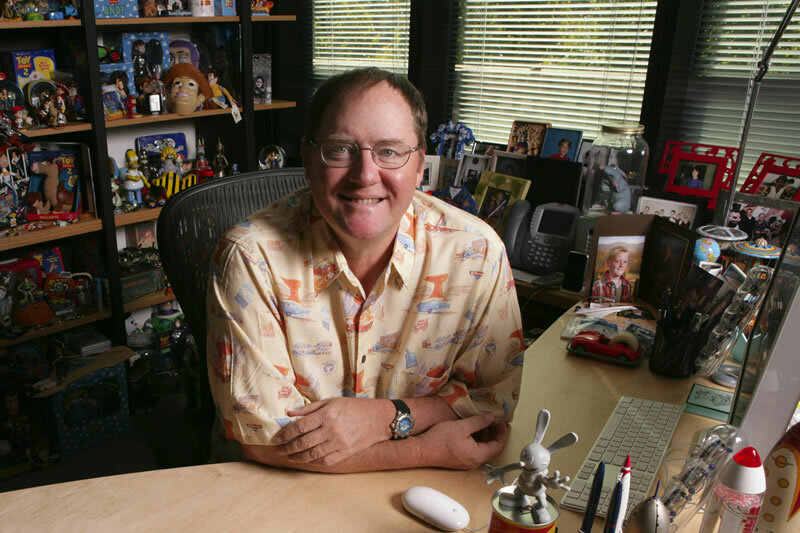 Lasseter instilled a tradition of heavy research into the Pixar teams. Research on A Bug’s Life began with the Bugcam. They put a small camera on the end of a stick and rolled it along the ground, in the grass, under leaves to get “a bugs eye-level perspective of the world”. What they learned was how translucent everything looks from ground level. On other films like Finding Nemo a team went scuba-diving in Hawaii to really understand the environment of the water and the reef (Lasseter was already an avid scuba-diver). For Cars Lasseter and some from the team went to the Concours d’Elegance car race in Pebble Beach, attended the Detroit Auto Show, went to the design centers of Ford and General Motors, spent hours at the exotic-car showroom of Fantasy Junction and even went to the local body shop, Manuel’s Body Shop, to learn about layering paint and inspecting the surface of cars. They also recorded engines sounds, most importantly the engine of Porche 911 (they worked with Porche and were loaned Porche 911’s throughout the process). Before even writing the treatment for Cars Lasseter took racing lessons to learn more about race cars. On Ratatouille, Brad Bird and the teams went to Napa Valley restaurants, like The French Laudry, as well as spending 6 days in Paris observing the city and the resaurants (Ratatouille is set in Paris). Screening Other Films – Draw Inspiration from Other Great Artists. On many of their films the teams at Pixar screened other films and documentaries. On A Bug’s Life they screened Microcosmos about love and violence of the insect world. On Finding Nemo they screened Blue Planet, Jaws, and The Abyss. Treatment, Script, Storyboard – Develop the Story Early in the Process and Look at it Visually. This is a process that was never skipped. It helped everyone take an in-depth look at the story and how the story will be shown to the audience. Break the film/projects into teams – This technique started on Toy Story but was used heavily on A Bug’s Life with the creation of a Crowd Team. The Crowd Team was created because of the complexity of the animation (shots with hundreds of ants that all had to look and move slightly different). On Finding Nemo they expanded this technique because the work was getting more and more complex with underwater movements and hydrodynamics. They created The Reef Unit, The Shark/Sydney Unit, The Tank Unit, The Ocean Unit, The School/Flocking Unit, and the Character Unit. Each unit/team worked on creating their part of the film. Work With & Study from Legends – original Disney animators taught at CalArts while Lasseter was there. Lasseter also studies Hayao Miyazaki, who’s a Japanese animator and one of the most respected animators in history. Look at Student and Professor Portfolios at Colleges. Andrew Stanton and Pete Doctor were hired out of CalArts where Lasseter had seen a variety of their work and short films. They were originally hired for work on commercials and developed into top directors. Hire the World Authority for Consulting. On Finding Nemo they hired Adam Summers to be the lead aquatic consultant (he taught at UC Berkeley). Later they hired more world authorities on waves, whales, jelleyfish, algae and sea grass, underwater translucence. Don’t Sell Yourself Short in Negotiations & Set Up the Right Timing – Jobs negotiated with Disney new terms with Disney after the release of Toy Story. One key lesson here is to wait for the right timing. Steve waited until he had a commercial hit on his side, lots of cash from the IPO and other films in production that Disney wanted. Steve’s mastery of negotiations wasn’t in his skill in the negotiation room but in all the work he did before any meetings were even scheduled. He has great movies to offer Disney, lots of talent that could go to a different studio and freedom to walk away. Pixar got a, “50/50 split of receipts (after distribution costs) from box office, home video, tie-in products like toys and clothes. They also shared 50/50 on production costs and Pixar would get equal branding in movies, advertising & tie-ons. Roy Disney’s Thoughts on How Eisner Messed Up are Insightful. Eisner failed to bring back key programing (ABC Prime Time, ABC Family), micromanaged people to a loss of morale, he funded parks on the cheap in California, Paris and Hong Kong and it showed in attendance, share holder & employees and others started to see the company a rapacious, soul less and looking to make a buck, he was a key cause for the loss of talented employees, did not develop relationships with key partners like Pixar, Miramax, and the cable companies, and did not set up a clear succession plan for the leadership of the company. Bob Iger Had a Profound Impact on Disney. Soon after becoming the new leader of Disney Iger was, “at a Disney theme park and noticed that the only characters in the parades from the last decade were from Pixar. He set out to contact Steve Jobs, Ed Catmul and John Lasseter at Pixar to work out a deal. He went on to strike an unpresidented deal with Apple before the Pixar deal to distribute shows on the iPad. Iger later bought ESPN, Marvel, and set up hit shows on ABC and ABC Family creating franchises that produced for decades. He was instrumental in setting up or re-establishing franchises like Pirates, Hannah Montana, Winnie the Pooh, Cars, Iron Man, etc. What he understood that Eisner didn’t was that they payoff is in creating characters they can leverage throughout all their distribution platforms, parks, publishing, toys, clothes, etc. Universities are Great Places to Find Talent & Resources. Ed Catmul was brought into head the newly formed New York Institute of Technology computer graphics department and later moved to the University of Utah. At Schure – investing in hardware and talent to create cutting edge technology. Try things that have never been done. Attend Conferences = It’s Where Unexpected Great Things Happen – Catmull met Lasseter in Long Beach at a Siggraph conference where they were both exploring and learning more about computer graphics. Lasseter would also go to conferences and student film shows at CalArts. They were selective about what they attended but got out to see these events. Don’t Be Short Sighted on Talent – Disney fired Lasseter and later Brad Bird left because they were not free to develop computer animation and their own projects. Katzenberg left after a riff with Eisner. This lack of talent and giving them freedom to develop showed in the weakness of Disney movies for decades (until they acquired Pixar). When they don’t want to work with the company or you fire them for pushing innovation something is wrong. Try, Try, Try – with computer animation they started with shorts but also ended up trying their hand at working on other parts of films by animating sequences in other movies that couldn’t be done with regular cameras (shots from space, a shot of a computer animated hand). They also started doing commercials for clients like Tropicana. They hired animators like Andrew Stanton and Pete Doctor out of CalArts to work on these projects. Don’t Always Expect Payoff in the First Couple Years. Pixar lost “a lot of Steve’s money ” for the first 10 years. The first 5 years Steve owned Pixar (1986 – 1990) there was actually, “a net $8.3 million operating loss”. They just scrounged by doing commercials and winning awards for the animated shots. Steve jobs investing in Pixar for years and years before it actually made much money. All that time fumbling around, learning, until they made the first really money-making success, Toy Story. By the release of Toy Story Steve was, “willing to sell Pixar to anyone who would write a check for for $50 million to cover his loses.” But Steve decided not to sell and Toy Story opened making $64.7 million in box office sales the first 12 days and $357 million world wide. Draw Ideas from Your Own Experiences. Andrew Stanton got the idea for Finding Nemo visiting an aquarium with his family. John Lasseter came up with the idea for Cars on a cross-country RV trip with his family. Be a keen observer of visually interested setting and stories. Also being aware of the main story in the situation…Stanton was at the aquarium with his 5-year old son constantly saying, “Don’t touch this. Don’t do that. You’re gonna fall here.” The concept that fear can stop a good father (or mother) from being one emerged. This become the core message and foundation of the story in Finding Nemo. Lasseter also worked on stories that he was already passionate about. He had a lifelong passion for toys, cars, scuba diving, trains, etc. These subjects are reflected in a lot of the Pixar films (well, not trains yet but that may say something about what’s next). Be Open To Changes & Ideas from Co-Workers. Don’t get locking into “how things should be” based on your initial thoughts. Pete Doctors Sulley and Mike in Monsters Inc. changed dramatically from the original treatment. Sulley went from janitor, to refinery worker, the former scarer, to the best scarer legend at Monsters, Inc. Boo started as a grown man, then turned into a little bow, then to then into a fearless little girl. Have An Open Office Layout that Facilitates Unplanned Interaction – the open building all “under one roof” with a central plaza and area where people have to interact. The offices and different building – people lost touch. Cash on hand and no debt – $500 million makes negotiation easier…gives you freedom to do what you want. They used this with Disney. Steve Jobs had arranged for Pixar’s IPO soon after the release of Toy Story. Being the commercial success that it was Pixar raised nearly $140 million for the company. This gave Pixar a war-chest of cash that made them much stronger in their negotiations with Disney. Jobs worked together with Disney in small functions first actually with Apple doing shows for the original video iPod before finally going through with the Disney purchase of Pixar with Bob Iger. 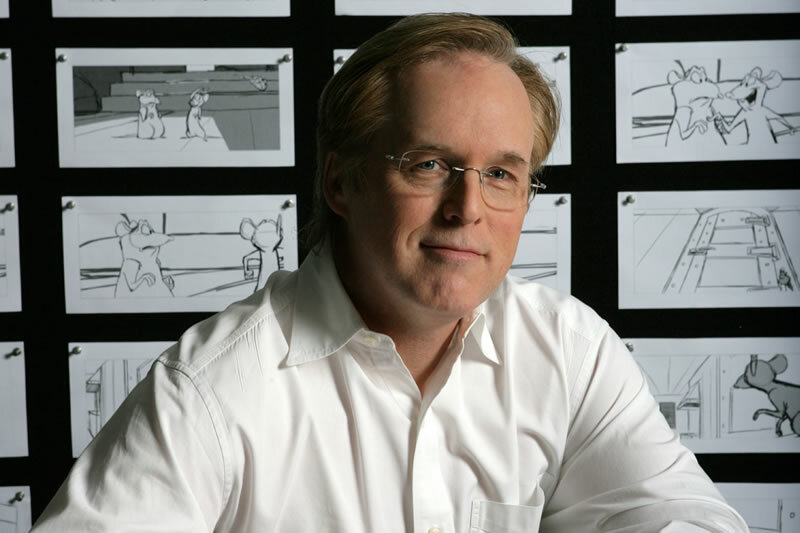 Hiring outside talent – Pixar hired Brad Bird for The Incredibles and brought in new inspiration and ideas that were not at the company. Also added to their toolbox with a film that was and “action” film. Don’t make things too perfect. Think about how your audience can relate to the information. For Pixar this meant studying the distortions that are present with typical lenses used on live-action films: lens flair, breathing zoom, barrel distortion, etc. Then the software team for the computer-animation teams rewrote the code to mimic live-action. For us this mean making out content easily to relate to – before & after photos, homes & landscapes they may see in their town, not technical language but familiar, etc. If It’s Not Right, Go Back to the Storyboards. 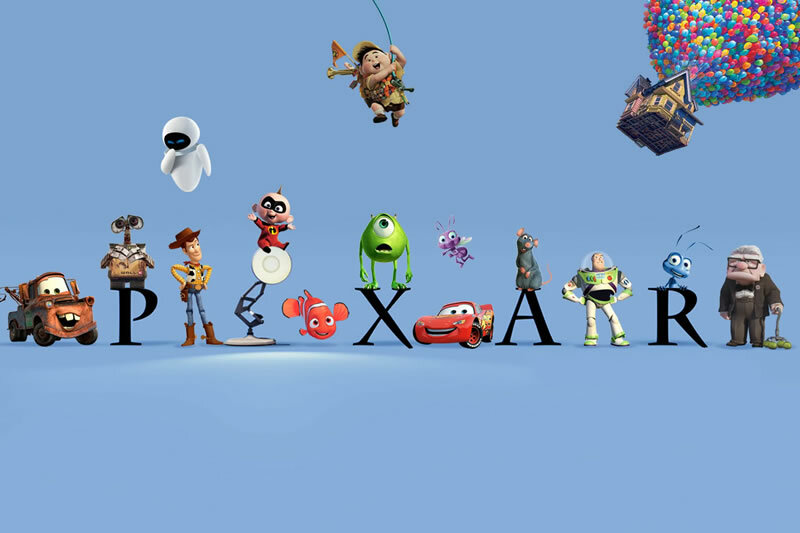 In several movies, including Toy Story, the teams at Pixar and the directors went back to redo the story. Some of it was used but the story is redone. Lasseter did this on Toy Story, A Bug’s Life, etc. and Brad Bird did this on Ratatouille. They also changed the leadership or teams that worked on the films if the overall look and story just didn’t come together with the original team. Have Intense Focus on How Audiences Perceive Your Characters/Content. Lasseter and the other directors who succeeded have a unique eye for seeing what an audience will like, not like and how they will feel about it. On Toy Story Lasseter would cut scenes where Woody would be perceived as vain or too self absorbed because he would be “less likable”. On A Bug’s Life Stanton and the teams decided to take the mandibles, and hairy segmentation out of the character design to make the bugs more like-able. They didn’t want people to get grossed out by the bugs. Steve Jobs invested in the negotiating equal prominence of the Pixar brand. Steve jobs felt, “Successful brands are a reflection of consumer trust, which is earned over time by consumers’ positive experiences with the brands products. Find ways to make sure people know your brand is the one responsible or co-responsible for the products in the marketplace you’ve helped create. On Toy Story Disney didn’t give equal billing to the Pixar brand in the film, clothes, toys, or marketing…Jobs changed this in negotiation with Disney for the second film. Lasseter learned from family and friends. One core insight he honed from his brother, Jim Lasseter who was a respected furniture designer. He would take “really wild fabric and use it in a classic style of clothing or take a classic fabric and make something wild with it. The insight that developed is that, “audiences would accept a new medium if it was rooted in the familiar.” You couldn’t take a crazy fabric and make a something crazy with it. I love this full-length documentary on Pixar. It tells the story of how Pixar was created: it’s origins, how it was created and who created it. The New Yorker article, The Fun Factory – Life at Pixar, examines how Pixar works in fine detail. This video, A Rare Look Inside Pixar, from The New York Times takes you inside Pixar. Several of the producers, directors, and animators are interviewed in the short and interesting walk through one of the most creative work environments on the planet.